Keep your guiding light close at hand. 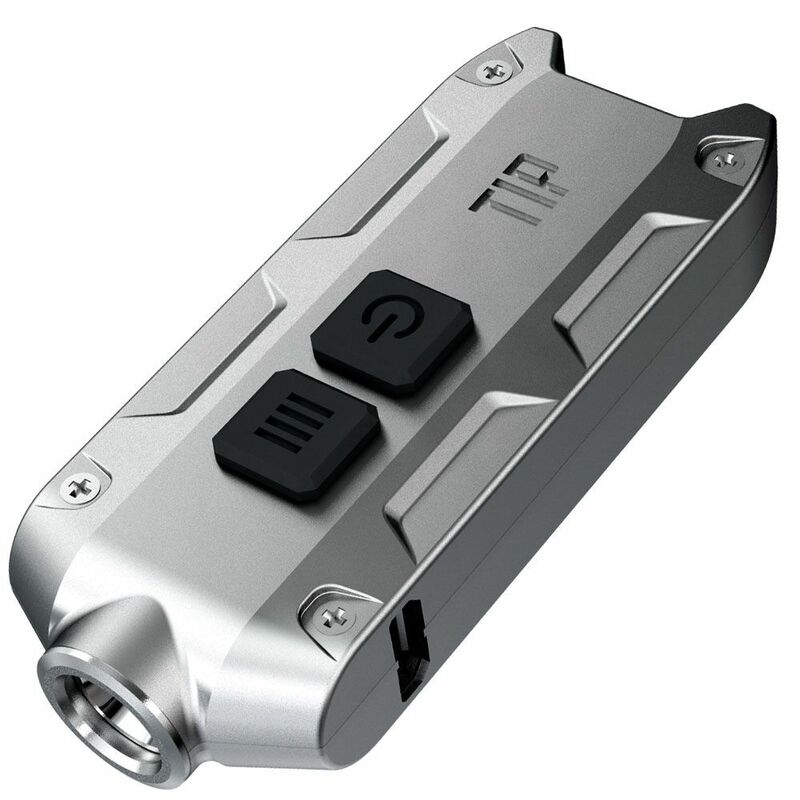 The Nitecore Tip is a compact keychain light that puts most full-fledged flashlights to shame. The powerful white light beam has four brightness settings and two power modes for intermittent or constant use. The micro USB rechargeable li-ion battery has a max run time of 46 hours and can hold a charge for up to a year in standby mode. With the included key ring and multi-purpose clip, the Tip is an illuminating addition to your hat, pocket, bag, or hip. The cloudy grey casing keeps this little light low-profile.